This holiday season, gilded mansions, million-dollar yachts, evergreen trees and beautiful coastal views await you on this day trip from Boston to Newport, Rhode Island. 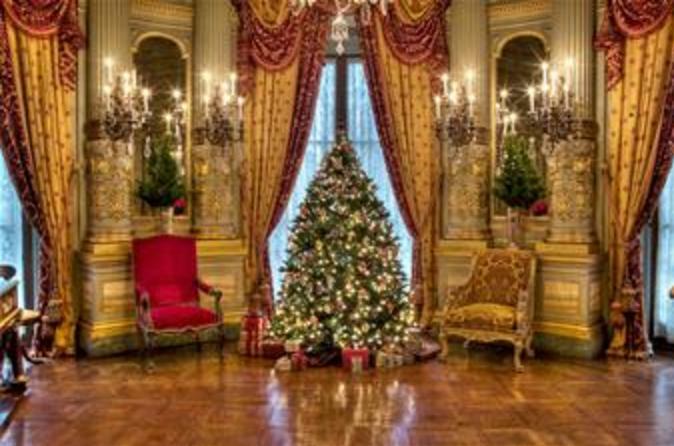 Tour this fabulous New England resort destination with your knowledgeable guide to see the grand homes of the famous Vanderbilt family, The Breakers and Marble House, both marvelously adorned with Christmas lights and decorations. Travel along famous Ocean Drive (10-Mile Drive) and enjoy free time to shop and soak up the festive atmosphere. This is a delightful way to experience New England in the winter!